Dyson’s promoted its new heater/cooler product in Sydney and Melbourne through a two week innovative campaign on JCDecaux's transit media. The product was showcased in several bus shelters and allowed passers-by as seen below to 'warm up' to the brand and test its new product features. Dyson promotional staff members were stationed at each panel to provide instructions and answer questions about this new product, rounding out a very 'cool' campaign. 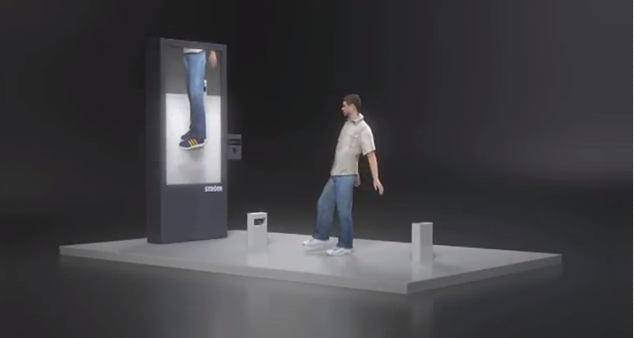 Goetz, a shoe retailer from Germany, used outdoor media innovatively to create a shoe store where people could try on its shoes virtually. Correll, in China, made an innovative store from its outdoor media to impress the audience of its benefit of being unbreakable. While Tesco, Korea, went a step further and created a complete virtual store on Subway billboards. It seems like Outdoor is become the preferred media for innovation across the globe these days. A real skateboard ramp was mounted on the side of busstops across Denmark to promote Quiksilver. Whole Foods, a leading organics product seller, is famous for their philanthropic efforts and improving the state of the environment. They used several TouchScreens across Chicago to raise awareness about seafood sustainability and provide donations to the city’s much-loved Shedd Aquarium. The concept is simple and effective: people touch the screen and Whole Foods donates money to Shedd! The campaign also integrated a viral social media component, encouraging participants to tweet #oceandevotion and prompt a second donation to Shedd from Whole Foods! Some very excited Chicagoans tweeted pictures of Whole Foods’ TouchScreens and expressed their support of this great initiative! PUMA uses Out-of-Home to RUN its new innovative campaign in Paris. Its Bolt Lite sneaker line offers athletes the opportunity to “fly to victory” by using the shoe’s light weight to run faster and work out at higher intensities. All 14 showcase panels included a wind generator to give the impression that the sneaker was suspended in air, playing on the benefits of the shoe’s lightness! With its fully wrapped shelters, PUMA’s new product line display was hard to miss in the streets of Paris!